Hi everyone, it's time for some more crafty fun with etchall®. 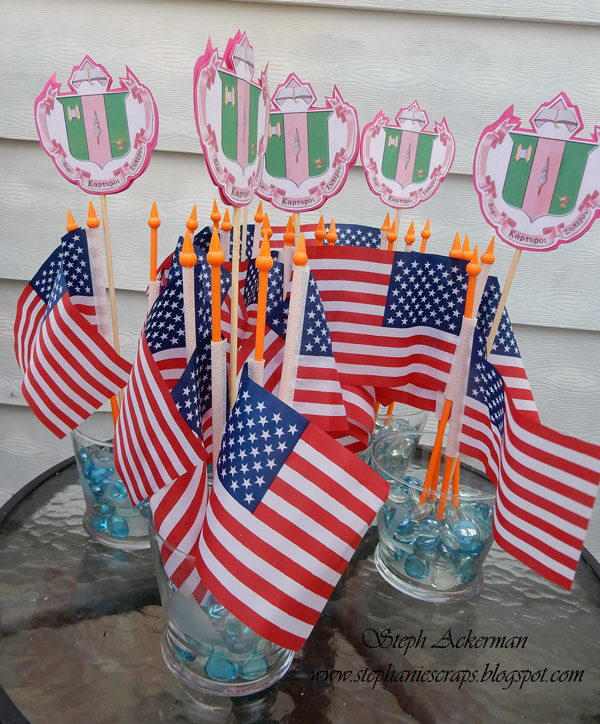 A college sorority needed some centerpieces for a sorority gathering and I was asked to design the centerpieces. I die cut the symbols that were needed for the vases from vinyl, then used painters tape to tape off the portion of the glass I did not want to etch. I covered the area with etching crème and left it to sit for 15 minutes. As you can see my etching crème is quite dark, but that in no way impacts it's etching ability. After 15 minutes, I scraped the etching crème back into the jar. After rinsing off the vases, I pulled off the vinyl to reveal the etched symbols. 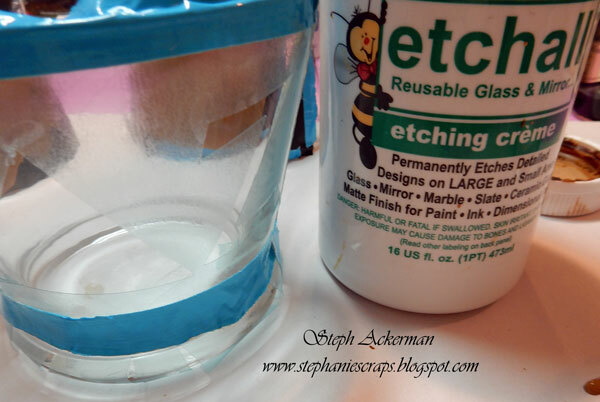 Since etchall® etching crème is reusable, it can be used for many, many projects. 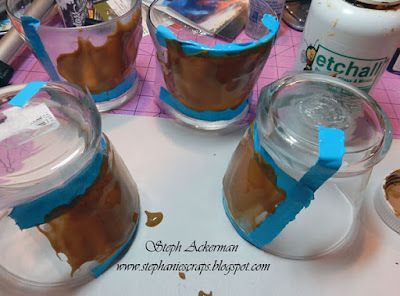 To finish, I cut Styrofoam to fit in the vases and placed glass beads to hold the Styrofoam in place. The sorority symbols and flags were then inserted into the Styrofoam. 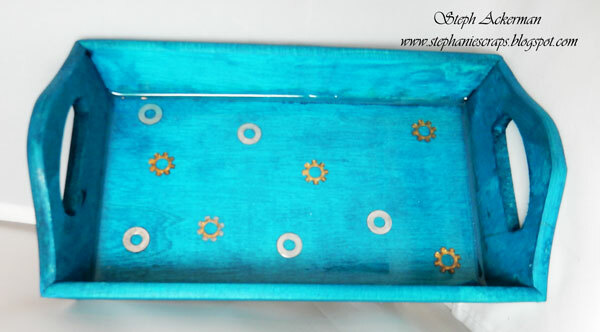 Look around you and you will find lots of fun glass objects to etch with etchall®. As we head towards Halloween, it's time to create Halloween projects. I created this project for the Paverpol blog. 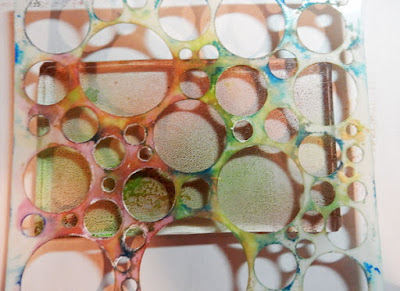 Please stop by the blog to see how I created my webbing. 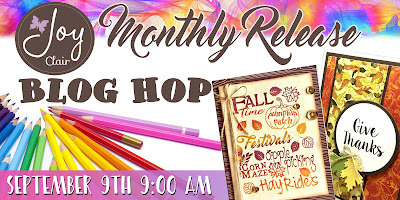 Hi everyone, I am participating in the Designer Crafts Connection blog hop this month. This month we are working with Gel Press. 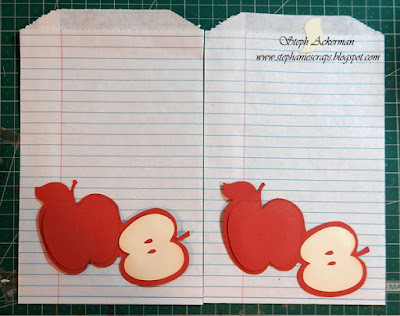 Gel Press was kind enough to send me a 5" x 7" plate and I am in love! There are so many options when using the plate. 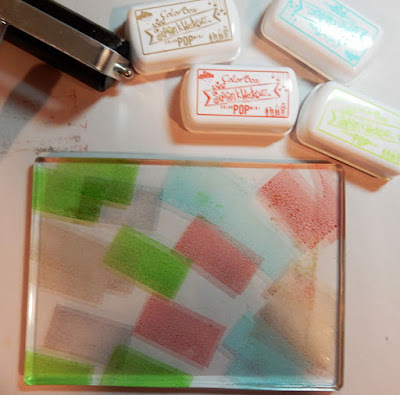 While I often use paint with the Gel Press, this time I decided to use Susan K. Weckesser's Color Pop Pigment Inks from Clearsnap, stamping them directly on the plate. Next, I used a brayer to blend the colors on the plate. I pulled one print at this point, but I wanted some more detailing. 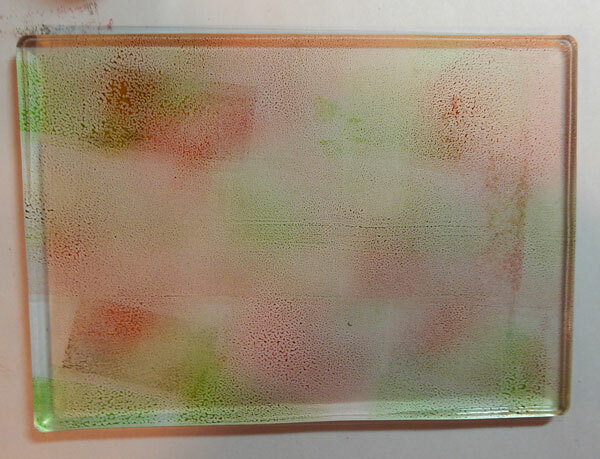 So, I placed the Rounded Art Screen from ColorBox on the plate. 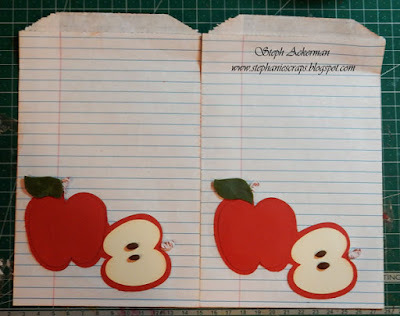 I placed white cardstock on the plate and rubbed. 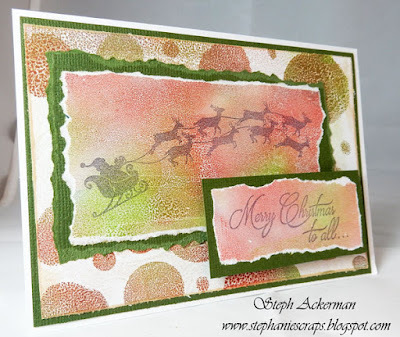 I used the second print for the background of my card and used the first print for the JoyClair stamp set - Santa's Coming. 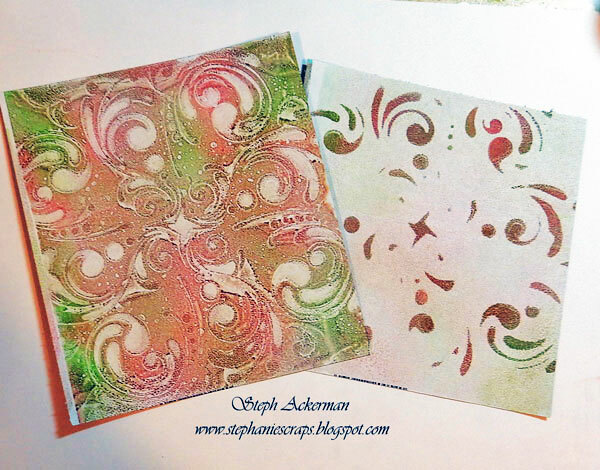 Then I reinked the Gel Press with the same inks and used the Mandala Art Screen from ColorBox. 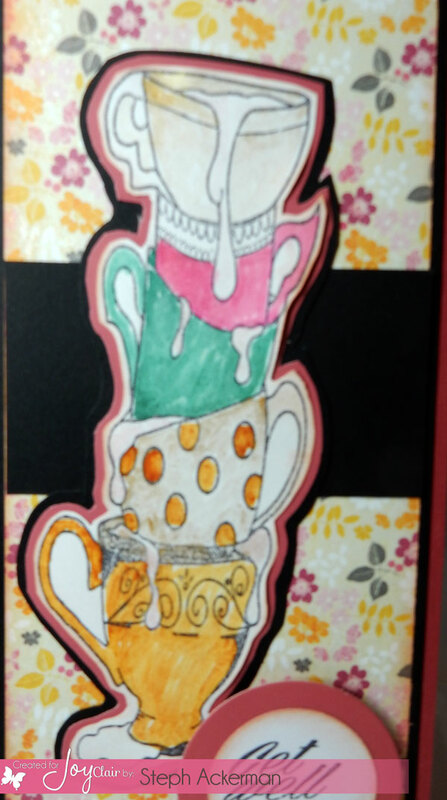 I placed the Art Screen on top, placed white paper on top and pulled a lovely image. Then I obtained the negative effect by removing the Art Screen and placing a second sheet of paper directly on the plate. I used the positive image for my card's background and the negative for the sentiment. 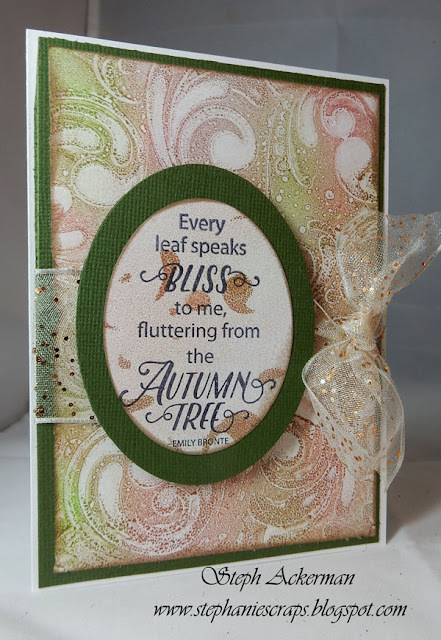 I stamped a sentiment from JoyClair's Hello Autumn stamp set on the negative portion, then die cut it for the center of the card. I think it looks wonderful! 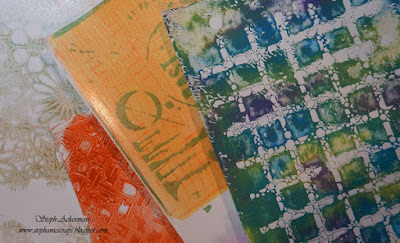 And then I played around and pulled some additional prints using stencils and assorted paints for some future projects! 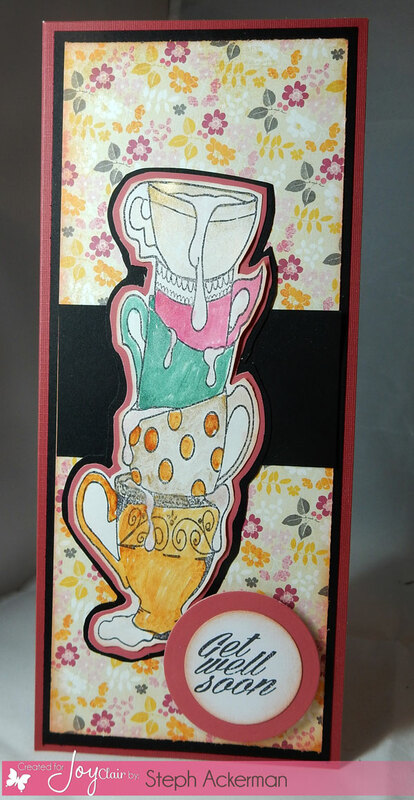 Hi everyone, check out the newest cards I've created for JoyClair. 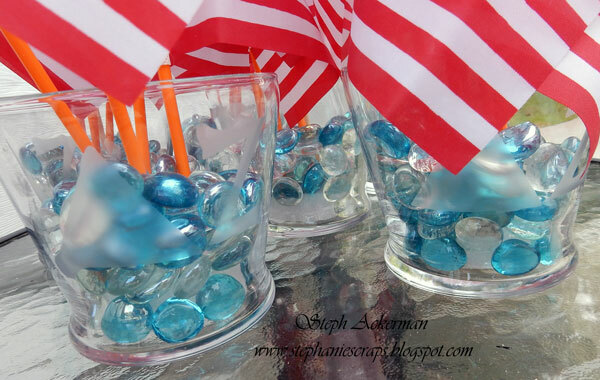 The full tutorial is on the blog. 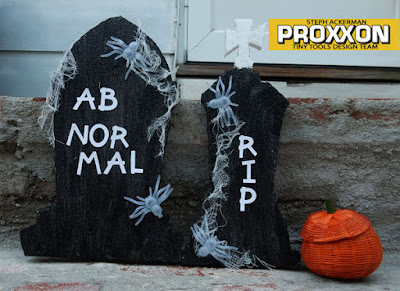 On the Proxxon blog today I've got some creepy Halloween tombstones using the hotwire cutter and Smoothfoam. 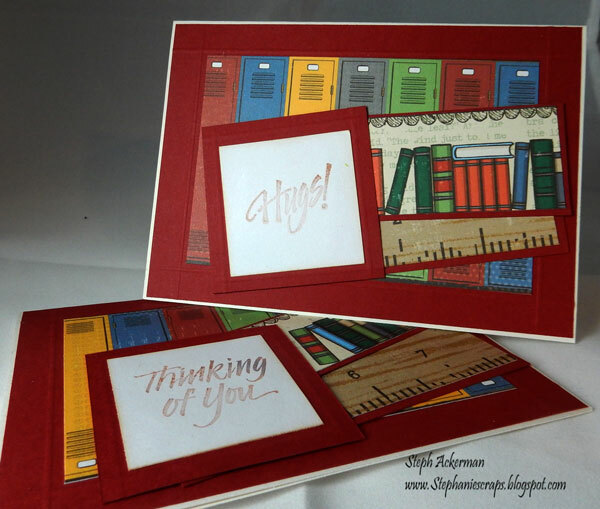 Hi everyone, I've got some cute cards on the Susan K. Weckesser blog. I've used the Tumbleweed Houses stamps. 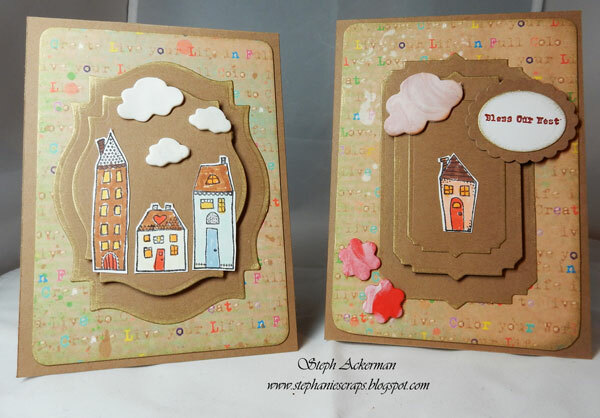 The houses in this set are so sweet, you could mix and match them, stamp them together or stamp them individually. I fussy cut them and colored them with Copic Markers. 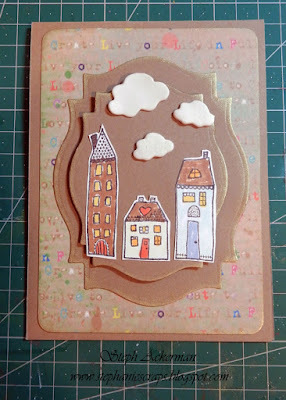 The clouds were used with Makin's Clay Cloud Clay Cutters and white clay and added with Beacon Adhesives. 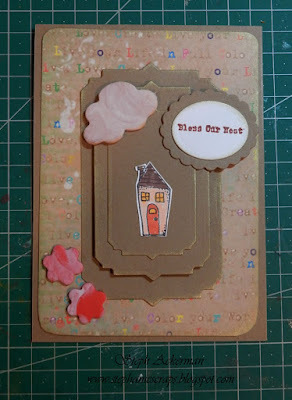 I used one house stamp on this card and used the sentiment from Grandma's Needlepoint, stamping it in Color Pop Kiss Ink. A pink cloud and pink flowers from Makin's Clay Clay Cutters and clay were added with Beacon Adhesive. 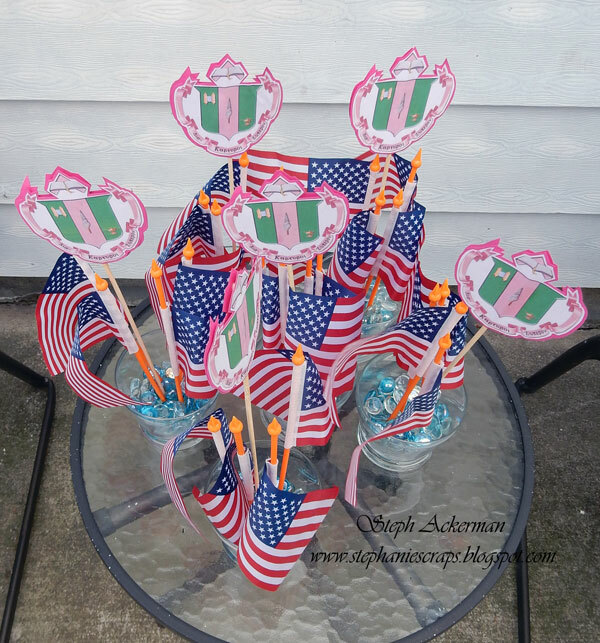 For more details, check out the Susan K. Weckesser blog. 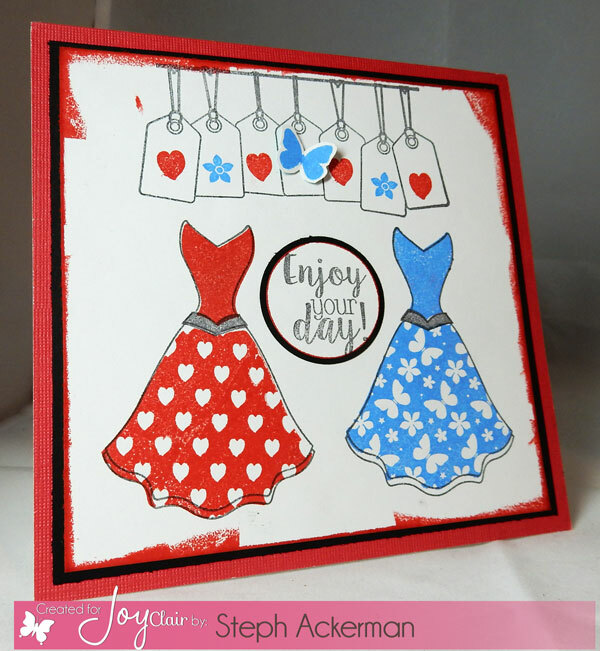 It's new release day at Joy Clair and the new stamps are amazing again!! 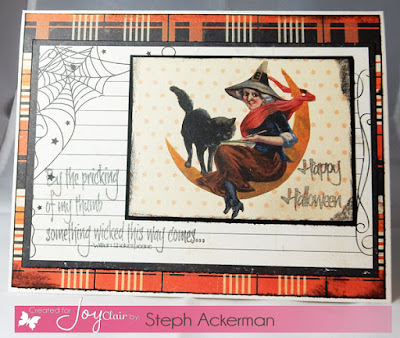 I'm using the new Spooky Greetings clear stamps. This is such a fun stamp set to create with. I used 2 of the stamps to accent this fun paper collection from Authentique. 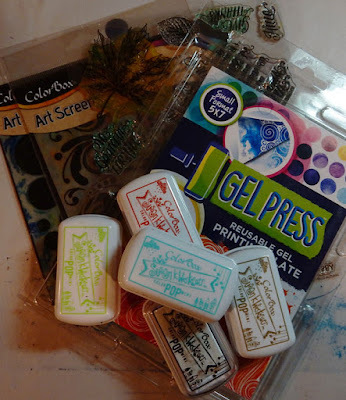 The stamps were the perfect accent pieces. 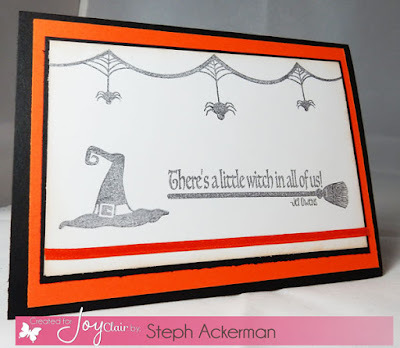 Happy Halloween was stamped on the witch image. Something wicked.... was stamped to the left of the witch image fitting perfectly around it. 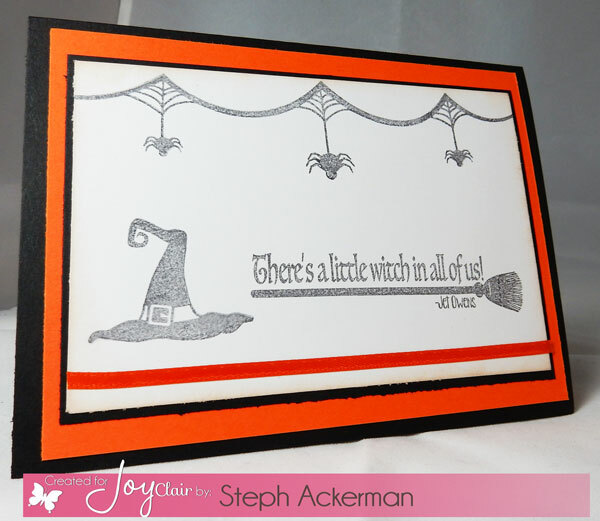 Love this black and white card. I used the same stamp, but I chose to die cut it and use it as an accent piece. 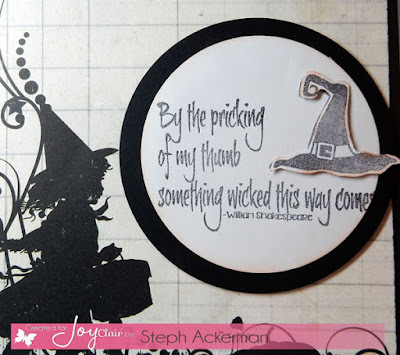 The witch hat was stamped and then a second hat was fussy cut and added with foam adhesives for dimension. 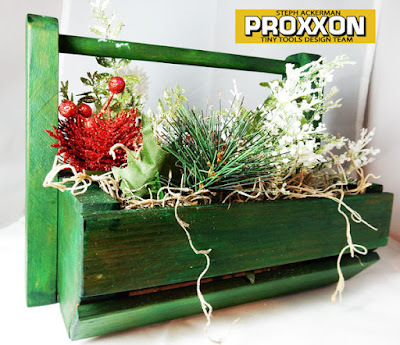 Be sure to check out everyone's projects this month and leave comments. You will love them. And remember, there are prizes to be won. 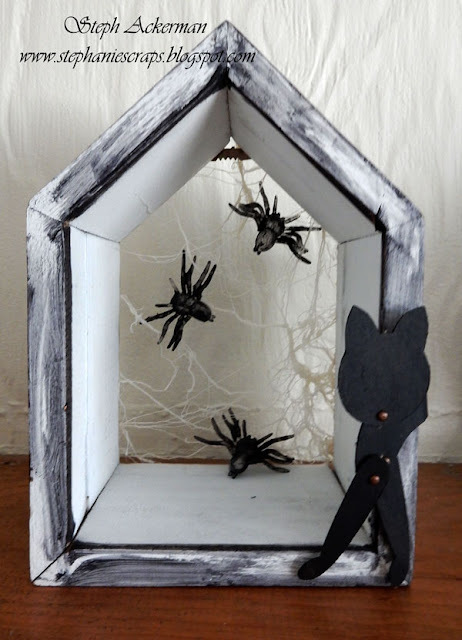 As we head towards Halloween, it's time to create Halloween projects. 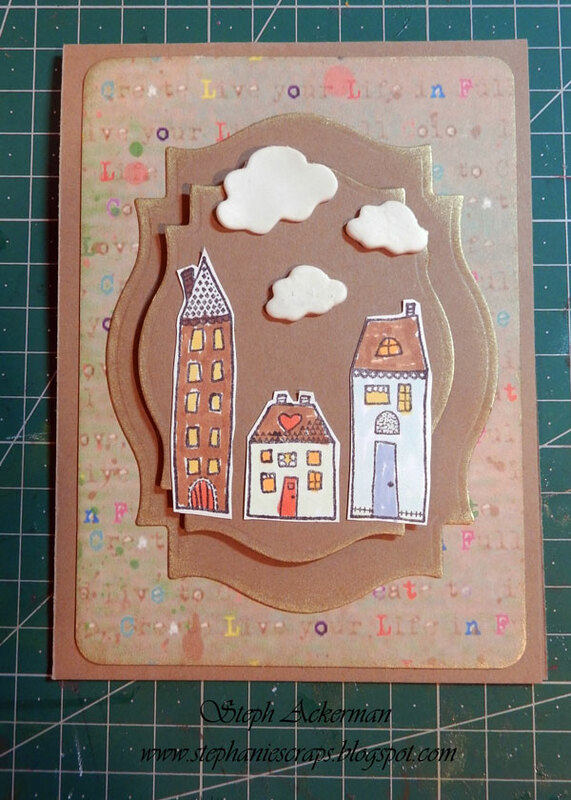 Did you know that Paverpol works with paper as well as fabric? 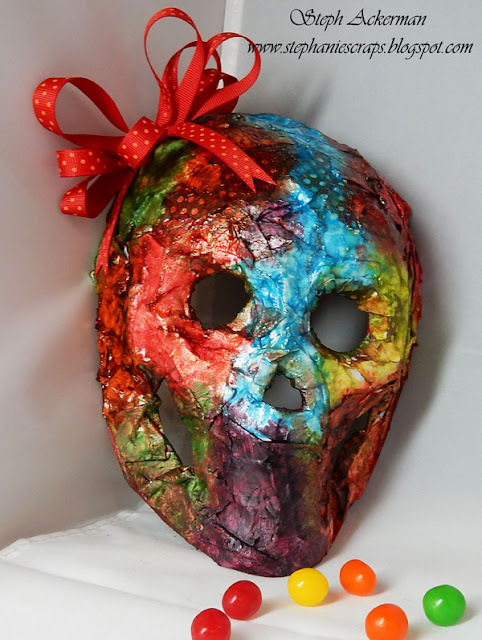 This paper mache skull uses scraps of paper dipped in Paverpol and it looks amazing!!! Please be sure to stop by the Paverpol blog for the details. 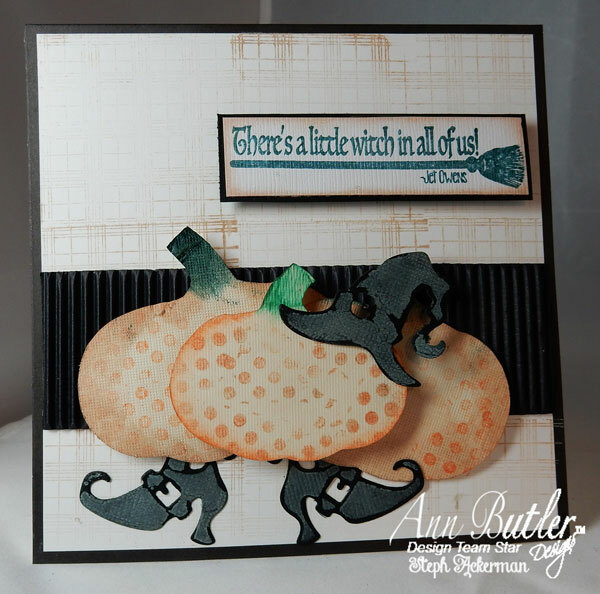 Hi everyone, I am so excited to share my first post for Whisker Graphics. I am thrilled to be working with all the fun products available in the store. With the first day of school comes anxiety from students as well as teachers. Why not give them something to calm their fears and put a smile on their faces that first day. 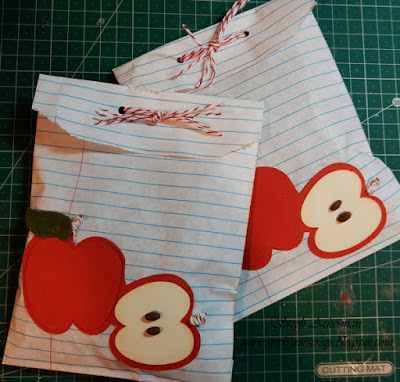 Fill these bags with all kinds of treats and give them to everyone who needs a little pick-me-up. 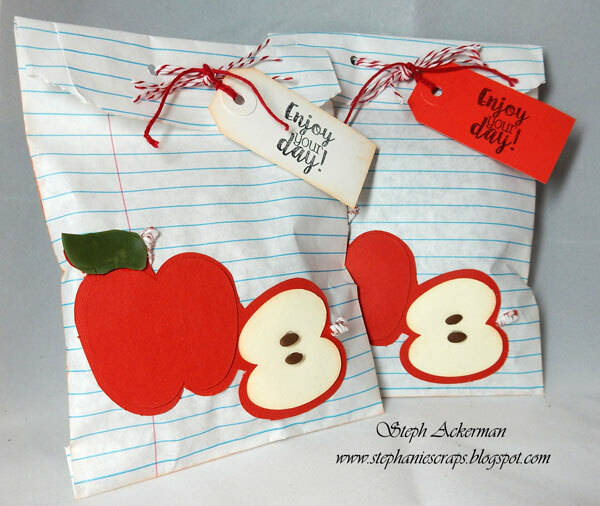 Using Bitty Bags, I added die cut apples as decorative elements. To finish the apples, I tied Rose Gold Vintage Metallic twine around the stems. Then I added brown clay for the "pits" and green clay for the leaves. I folded the tops of the bags down and tied them with Rose Gold Vintage Metallic Twine. 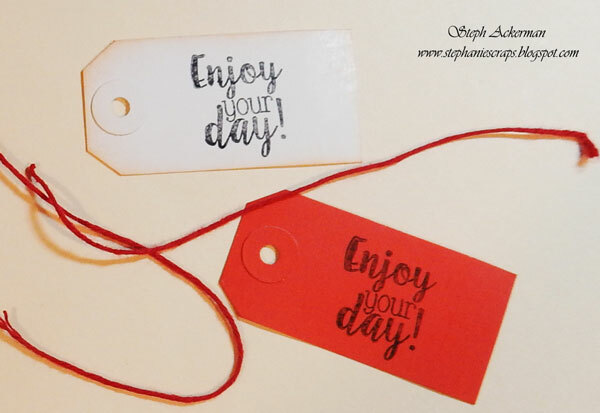 I wanted to add a little sentiment for the recipient so I stamped "Enjoy your day!" on the tags. After inking the tags, I tied them to the bags with Red Solid Twine. And there you have it - who wouldn't love to receive these little packages. I hope you've enjoyed my post. Please stop by the Whisker Graphics blog for more inspiration. Thanks for stopping by today. Hi everyone, it's September and fall is around the corner. 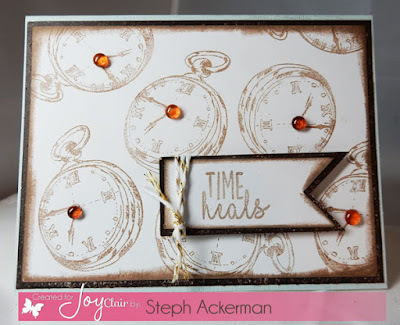 There is a new challenge at JoyClair and we'd love for you to stop by the blog and see what the designers have created. I've used the Designer Labels stamp set which is an amazing collection along with a stamp from one of the newest collections - Butterfly Kisses. Stop by the blog for more inspiration and to enter.